Shop Fresh. Shop Local. Shop at a Farmers Market! When was the last time shopping at your local big box grocery store made you feel good? That’s what you’re missing if you’re not shopping at your local Farmer’s Market. Here are some GREAT reasons to shop local. 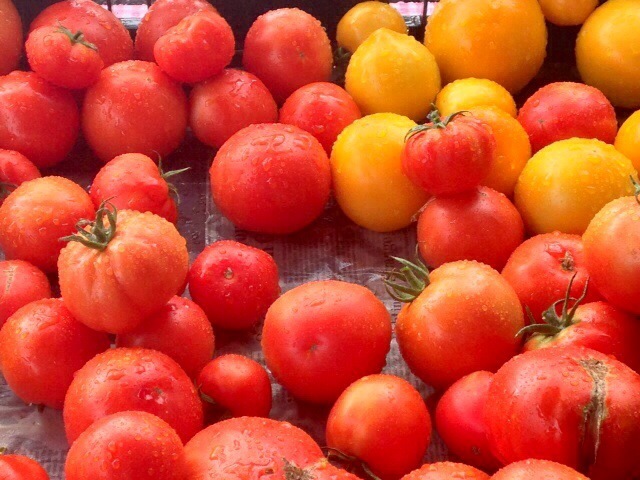 You will find heirloom tomatoes and many more unique varieties of produce that aren’t farmed in mass on mega farms. The flavors will surprise you. Find out what a “real” tomato tastes like! While we can now get produce of any sort at any time of year, mass-produced, hothouse-grown fruits and vegetables lack flavor and freshness. There’s a lot of pleasure to be had from eating what’s in season when it’s in season. It gives one something to look forward to and relish when you have it. Rather than settle for tasteless, bland produce that’s available year around, allow yourself the pleasure a treat…a treat that’s not always available. Family farms need your support. With the rapid growth of agribusiness and mega farms, family farms are struggling to compete. Without them, we will no longer have farmers who are personally involved with and truly care about what they produce and who cultivate varieties that, without them, will be lost. When you support a family farm, you make a difference, AND you know exactly where your food came from! I shop at the Uptown Westerville Farmers Market on Wednesday afternoons. 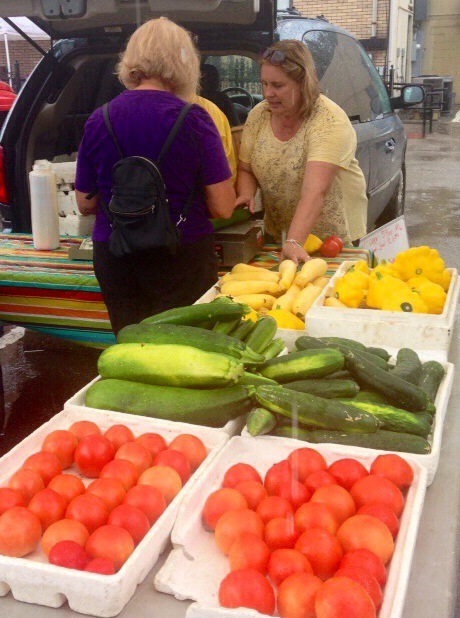 If you go, make sure and check out Bird’s Haven Farm for a large selection of fresh produce including heirloom tomatoes, fresh herbs and outstanding cucumbers. You can find a Farmers Market near you with the USDA Farmers Market Directory. Visit a Farmers Market and discover how much better food tastes when it’s fresh, local and seasonal!.